After wading through 50 pages and counting of people discussing the WLtoys L959 buggy, I've decided to summarize the thread so that others don't need to do the same. Note I am not dissing the RCGroups community, without which this list would not exist. However, the information is - at best - organized ad hoc and is very difficult to read and understand. Hopefully this version is more immediately useful. This information is not intended to be very pretty, and Blogger is actively preventing me from cleaning it up. But I've tried to include every relevant link, picture and posting that I could find. If you know anything I don't, I would appreciate a post to the comments, and I will update ASAP. I appreciate all contributions and I think others will too. Any use of this information is at your own risk; I have not confirmed the vast majority of this and cannot take any responsibility for the accuracy of the information. Obviously certain parts may or may not work for your application. You use at your own risk; thank you for your understanding. Pros: Entry-level RC cars. Very fun for beginners and kids. Ridiculously fast. Good value. Easy to fix, mild upgrades available. L959 goes about 25 MPH / 40 km/h top speed, L969 about 36 MPH / 60 km/h (mfg rated speeds). Cons: Not high end, defects are common, parts break relatively easily. You should be looking at it as a toy, and if it breaks, it breaks (but can be fixed). Some call the cars "basher grade". Not on a par with "race" models. Despite the "Wave Runner" name, and videos and ads showing the L959 on beaches, in snow, in the ocean and in mud notwithstanding, and the L959 is NOT waterproof. Until about 2015, the receiver box was also not waterproof, leading to near-instant destruction of motor driver FETs on exposure to even small amounts of water. This has occurred with standing water, driving through wet grass, etc. Those with SMD soldering experience could replace the FETs, but the parts often cost more than a new receiver box. Waterproof receivers usually have four transistors (MOSFETs) actually sticking out of the top of the receiver box (can be seen here and here). These "through-hole" parts represent an upgrade to the older, smaller, lower-profile "surface-mount" parts, but require extra height. Both boxes are totally compatible and there is no indication the through-hole FETs provide any performance advantage at all. The receiver box can be additionally waterproofed by adding more material, such as glue or silicone sealant. This can be a messy process. For L202 and other brushless versions, it is unknown if the ESC motor driver (not found on the L959) is waterproof, but likely not. It can probably be waterproofed with tape, sealant, or glue, but this is not confirmed. The motors themselves do not appear to be particularly sensitive to water, but will be sensitive to sand and debris; same for the wheel bearings and other moving parts. - The L959 and L202 share 90% of their parts. L202 owners can buy L959 parts, they will fit. The L959 is also sold as the LiteHawk Blast. - The L959 (car/buggy), L969 (truck/truggy) and L979 (rally car/rally truck/truggy) are also 90% the same, differing mostly in wheels, bodies and axles. - However, there may be some other unknown difference: for example, my L959 has a JST connector and a bare motor, while my L969 has a T-plug connector and a heatsink on the motor. This means the receiver box is NOT the same between the L959 car (part L959-38, easy to find) and the L969 truggy (part 969-18, hard to find). - It appears some L959s come with the heatsink, and some do not, but heatsink-equipped cars might actually be L202 brushless versions incorrectly identified as L959s. Some appear to come with motor covers, others leave the motor bare. - By extension, the brushed/brushless and car/truck/truggy models are therefore generally compatible. - The Litehawk Blast is reportedly identical to the L959; the Litehawk Brute is reportedly identical to the L969. Litehawk has a Canadian store with modest markups over Banggood and Tmart. - Battery uses JST connector (B3 on this diagram), and not the T-plug used on most other related models. - Battery uses T-plug (B1 on this diagram), not JST connector like L959. See both motors together here. FWIW, my opinion is get a brushed-motor first. If you don't enjoy it, you've saved money. If you do, you can always upgrade it. Use the saved money to buy a L969 truck, which is a bit more expensive but IMHO is more fun anyway (see videos of the truck version). I have both, and the truck handles better, handles bumps better, jumps better, and is just generally more fun, in my opinion. Also, the L202 does tend to break more often since the brushless motor upgrade tends to over-stress the standard gears, leading to a very short lifetime for driveline parts. I expect the same may be true for the truck versions. This could make it frustrating for the first-time owner. - Car has a 1 second pause before you can put the car into reverse. - Front wheels set to excessive toe-out from factory (can be adjusted). 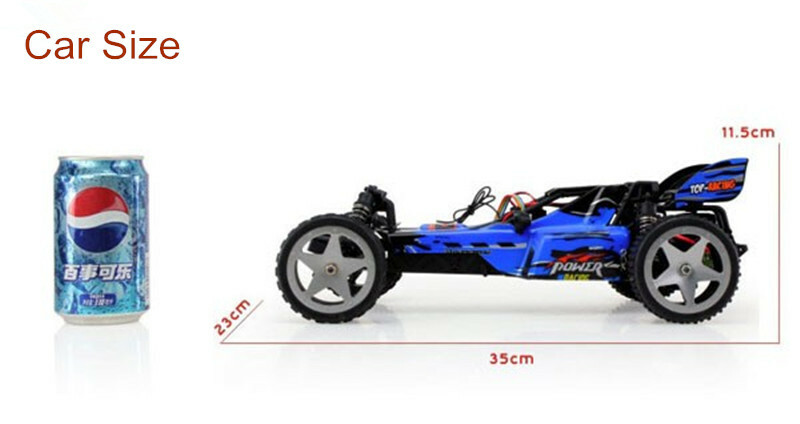 - Car can be tail-heavy (especially brushless L202) and can sometimes be difficult to control. - Stock shocks grossly underperform at controlling springs. Stock rear suspension allows car to bottom out at rear while promoting bounce, which is bad for rear traction. 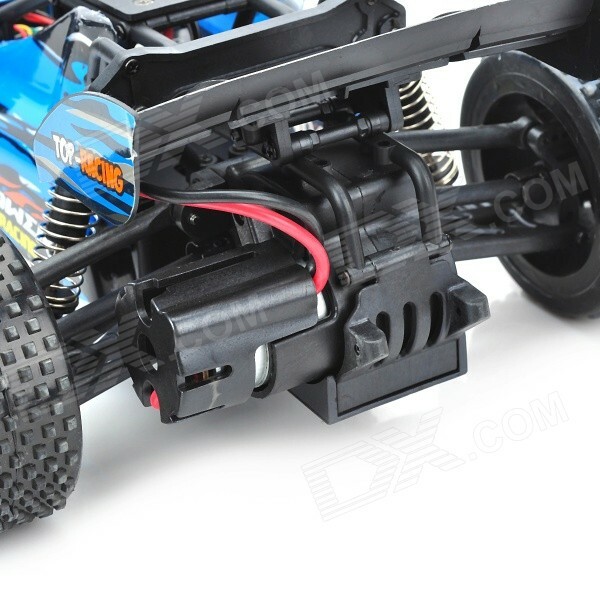 - L202 brushless upgrade is about the limit; stock gearbox and other parts can't really take any more power than that. Upgrading beyond a certain point may be pointless since nearly everything will have to be changed out at some point. - Brushless owners that drive the cars hard may break parts quite often. 540 motor has a diameter of 36mm. 380 motor has a diameter ~28mm. Note: Shocks are usually measured hole to hole, not end to end, but there are exceptions. Springs: 14mm diameter, about 8 turns in the front, about 11 turns in the rear. 35mm when mounted on the shocks. - Transmitters from other related models (above) should work. - You can run multiple L959s simultaneously as long as you bind the transmitters one at a time. - Transmitter from L959 confirmed to work with L202 receiver, which is part of the brushless upgrade. - Most cars purchased from Asian sources come with chargers that have mainland European plugs. They will work in North America with the correct adapter. - It is a fact of life that half-decent third-party chargers are half the cost of the car itself. (Costly accessories are synonymous with the pastime called a "hobby".) However, the stock charger is fine if you are not in a hurry. - If you have a power brick, it needs to be 5A or more and have a 5.5mm plug. - Again, most IMax B6 and other chargers/power supplies purchased from Asian sources come with European plugs. They will work in North America with the correct adapter. Note: the parallel charging board has every plug in parallel. So it does not matter which plugs you connect your packs to. SAFETY NOTE: My parallel charging PCB came with an internal short-circuit which destroyed one connector. Check the boards with a resistance meter BEFORE plugging in your first battery! - Charging time at 1C is about 90 minutes for a fully depleted pack. - Notes: there is no known "right" way to do the water break-in, so maintaining scrupulous accuracy to any given method is probably unnecessary. A single 1.5V battery should last more than long enough for a break-in. - Units equipped with a heat sink may have heat sink poorly fitted, and/or not have any heat sink grease or thermal pad between the motor and the heat sink. This will severely limit the ability of the heat sink to function well. - Motors and tires wear out often; they are easy to replace. - It is common for most of the screws (including those internal to the gearbox) to back out over time. - Steering but no forward/reverse: Motor burned out (replace), motor driver MOSFETs on receiver burned out; often happens due to water / snow / dirt (replace receiver), stripped gears in gearbox (replace gearbox). - No steering, no forward/reverse: Car not on (turn on), transmitter not on (turn on), transmitter did not bind correctly (turn both off, then both on), car or transmitter batteries dead (replace), receiver module defective (replace), transmitter unit defective (replace). - Car stops suddenly: Battery is dead (car stops automatically to avoid overdischarge), broken receiver (replace), radio reception is poor (reorient antenna), transmitter batteries weak/dead (replace batteries), stripped gears in gearbox (replace gearbox). - Forward and steering, no reverse: Transmitter trim out of adjustment such that the car is actually in forward gear without actually moving; when car is in forward gear, reverse cannot be engaged (fix via transmitter trim buttons). Update: Measurement show the absolute maximum usable space is 97mm x 38mm x 20mm. If you cut off the side ridges, 97mm x 52mm x 20mm maximum. You will need some extra space to accommodate the wiring and connector at the length AND the width. I recommend 84mm x 35mm x 18mm, absolute max. Batteries to 23mm thick will work, if shorter. The original 1500 mAh batteries are approx 70 x 34 x 21mm, which are about the max for batteries over 18mm deep. This includes some puffing from use. The L959 has a JST connector (red one),while most of the other related models (see above) use a T-plug connector. This means battery packs for the L959 are not compatible with the L202, and vice versa, unless adapters are used. For those unfamiliar, the T-plus and JST are the red two-pin connectors. The smaller, white plug is the "balancing plus", intended to assist in battery charging. The T-plug is heavy-duty and is better for high-power applications, hence its use on the higher-torque brushless and truck models. Technically, the red JST is a JST RCY series, while the white is a JST XH series. 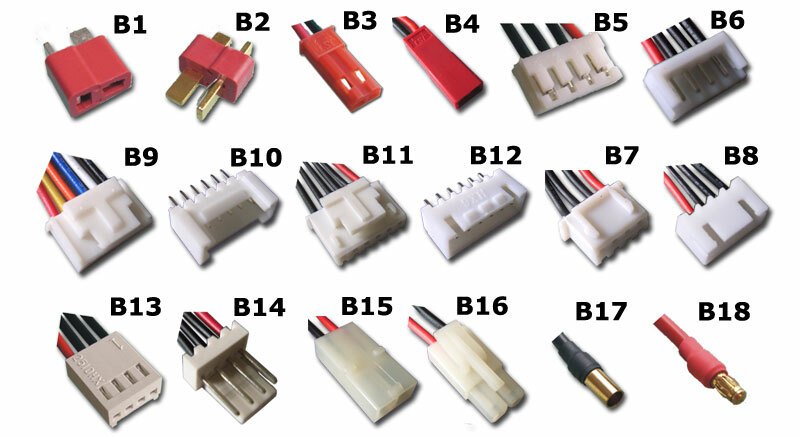 However, in the RC world, "JST" invariably refers to the power connector, and invariably refers to the red RCY-series style. - Upgraded batteries may require you to snip off the ridges inside the battery compartment or other plastic features so the battery will fit. Turnigy nano-tech 2000 seemingly does not require such mods. - This battery from Banggood will fit only the L202 and other models with a T-plug connector. The L959 uses a JST plug, so this will not work on the L959 without an adapter. - Original batteries may be unable to effectively deliver peak current, at least to brushless models. This is only a concern if you're looking for he absolute top-end - most people find the cars are plenty fast as-is. However, a larger 2000 mAh battery with a 20C-30C discharge rate is recommended for peak performance. 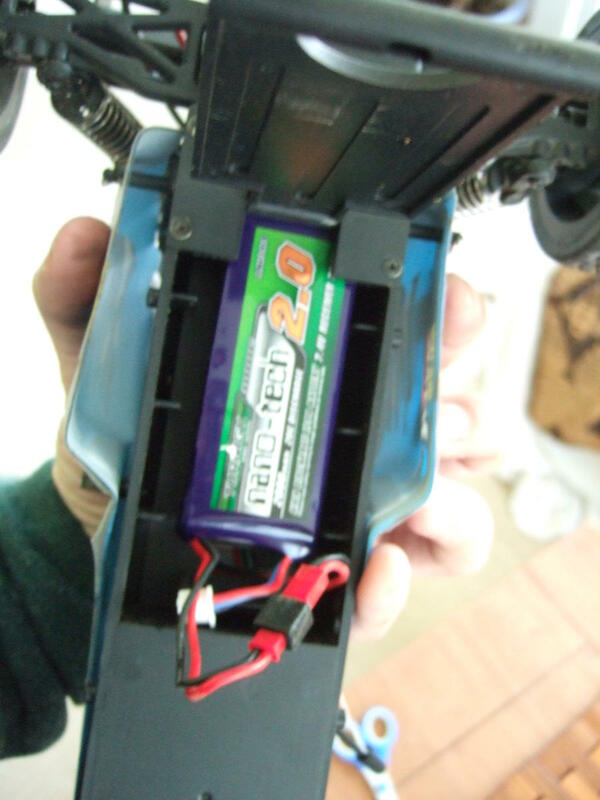 SAFETY NOTE: Some have complained that Banggood batteries have the JST connectors wired up in reverse. Check the polarity matches the car/charger before connecting. The fronts are generally regarded as more than adequate for the car. Rear tires are very soft and severely concave, leading the car to ride entirely on the outer edges. See here for an illustration - it can be seen that the vast majority of the tire doesn't actually touch the ground unless the surface is extremely compliant (i.e. sand). This makes the effective tire width < 5mm, which is obviously not good. Spinouts and poor handling due to the rear end are common complaints. Rear traction can be improved with better shocks and rear tire upgrades, both of which are described below. None known. 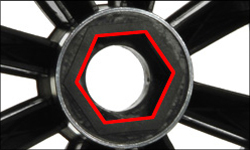 Front tires do not use "standard" hexagonal nuts for mounting. Rear wheels use a "standard" 12mm hex mount. As there is no such thing as a "standard" anything, this should be taken with a grain of salt, but it is definitely 12mm. For those unfamiliar, this just means there is a six-sided (hexagonal) hole in the wheel hub on the inner side of the wheel. This hex hole is 12mm. 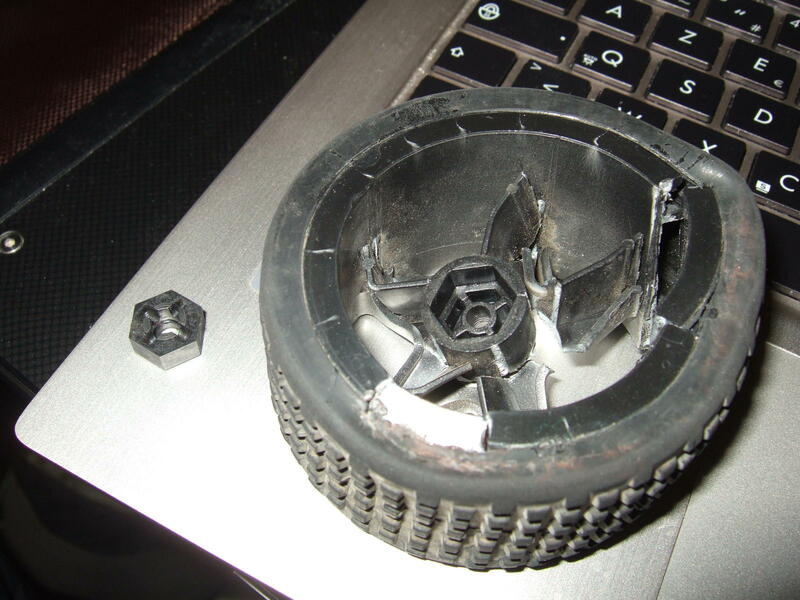 You can see an illustration here, and a better view of the rear hex hole on this broken wheel. The hex fits into a hex nut on the axle, making the wheel spin when the axle spins. Pictures of the setup (from other cars, NOT L959) are here, here, and here. The little stubby rod is the axle, which actually rotates. The "nut" on the axle spins with the axle. The wheel fits on the "nut" and therefore spins with the axle. It's actually much simpler than it sounds. The key thing is you need wheels with a 12mm hex. 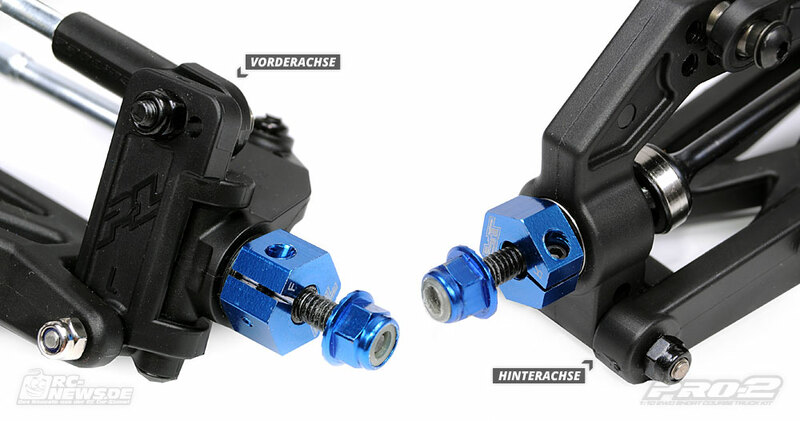 - HobbyKing spacers are theoretically adjustable. eBay versions are also available with the set screws, which theoretically make them adjustable. - I personally have a L969 truck, which is reportedly identical to the Brute, and the L969 truck tires do not fit the rear of my L959 with stock axles. Axle replacements are required, but as they come from a "sister" model to the L959, the new axles will fit. - The buggy is 1:12 scale, but "most" 1:10 scale rear wheels will fit. - But not all, since the axles on the car are relatively short. With some wheels you will need to also install longer axles, such as those from the car you stole the tires from. 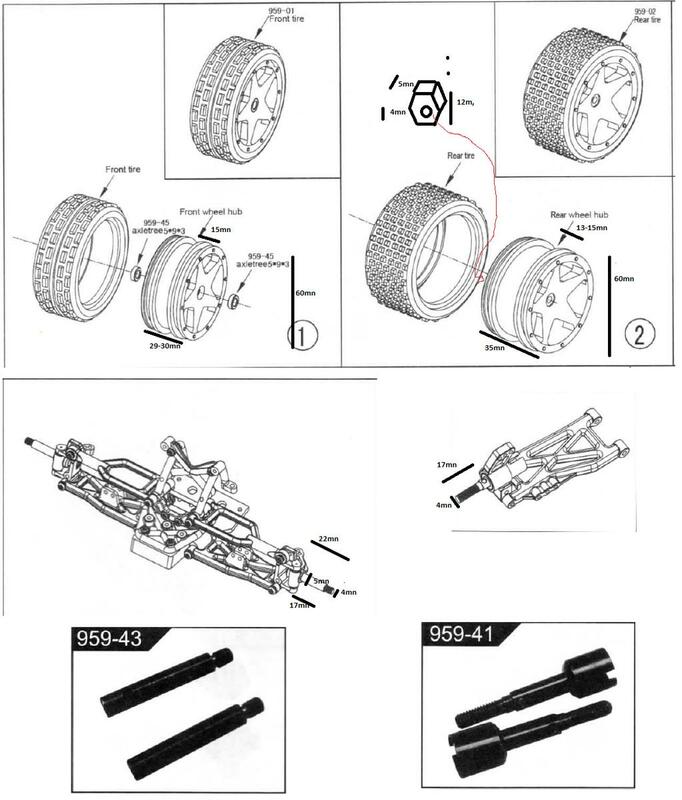 For example, L969 truck tires will not fit the L959. - Some wheels may be narrower and require either spacers or adjustable wheel hex nuts (HobbyKing (USA)) to push the wheels further out. The axles are relatively short, however, so we're only talking a few mm of difference in most cases. - Having the rear wheels set too closely will cause the car to flip on hard cornering. However, any grippy rear tires might cause flips on awkward jumps and/or landings. - Tires must be glued to rims. - Most replacement tires come with foam, either separate or pre-installed. - Foam mod is not recommended due to the inexpensive nature of replacement wheels/tires (~$20) and the extreme difficulty of getting the stock tires off of the stock wheels (see below). - If you must do it, there is nothing at all special about the foam used. Any soft open- or closed-cell foam will do as long as it fills the tire volume. It's not a science. - Basically: Don't do it. Buy new ones instead. See elsewhere in this guide for recommended replacements. - Some people recommend boiling the tires off. This is not recommended since it barely works and can melt everything. - Some people recommend an overnight soak in acetone. This may work but may melt your wheels as well. - Traxxas Titan 380 motor fits but performance is reportedly worse than stock motor. To date, nobody has tried any other alternative brushed motors; everyone opts for the factory brushless upgrade instead. - Some replacement motors come with a 14-tooth pinion (gear); original motors have smaller 12-tooth pinion (this has been verified). Using a 14-tooth pinion version may cause motors to wear out prematurely, causing the car to go through motors quickly. Unfortunately, both the 12 and 14 tooth gears appear very similar on casual inspection, so always compare the new motor to your old one. You can assemble the gearbox using the 14-tooth pinion but it will feel stiff and require quite a bit of torque to get it to spin. Using a replacement speed reduction gear along with the new motor may correct the issue, or it may not. You can move the original 12-tooth pinion to a new motor, but only if you have a good-quality 1.5mm hex wrench handy to remove the set screw from the pinion. - Cleaning with electronics cleaning spray / motor cleaning spray / electronics contact cleaner helps remove dust. Note: many of the heat sinks that include fans are for 540-size motors, not 380-size motors. They also obviously require power and the fans are subject to breakdown. - Note that the stock heat sink that comes with some L959 and L969 cars does fit rather closely when properly mounted, so a pad is not needed to fill the space. - There are no known metal gear replacements for these. Some argue that allowing the easily-replaced reduction gears to shred is preferable to having harder-to-replace transmission parts break instead. - Putting PTFE grease or other lubricant in the gearbox may help it last longer. 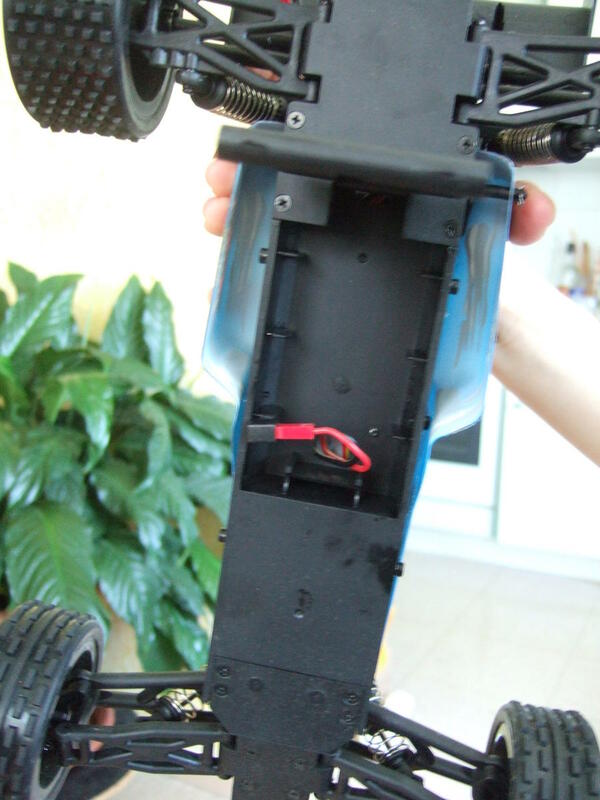 Receiver: The receiver differs between the L959 car and L969 truggy because the battery connector is different. - Older receivers were not waterproofed. Newer ones are mostly waterproofed by being filled with glue, but there are gaps in the coverage, so water still might kill them. - Replacement waterproofed receivers may have glue in the plugs that needs to be cleaned out with a needle or X-Acto knife. Rear tires: Rear tires also not the same across models. L959: Stock L959 rear tires are garbage. See above for replacements. If you must have originals, look in "Sources" above. Note: The L202 has many - but not all - of these already. In fact, several of the L959 upgrades come directly from the L202. For rear tires/wheels, see above. - Kit includes ALL parts needed to convert L959 to L202, including axles (dogbones), bearings, ESD, motor, and L202 receiver. - The upgrade kit uses the 969-18 receiver, which has the T-plug battery connector. If you're not using T-plug batteries already, you may need new ones. Alternatively, you might need to cut off the T-plug and solder on a JST plug. 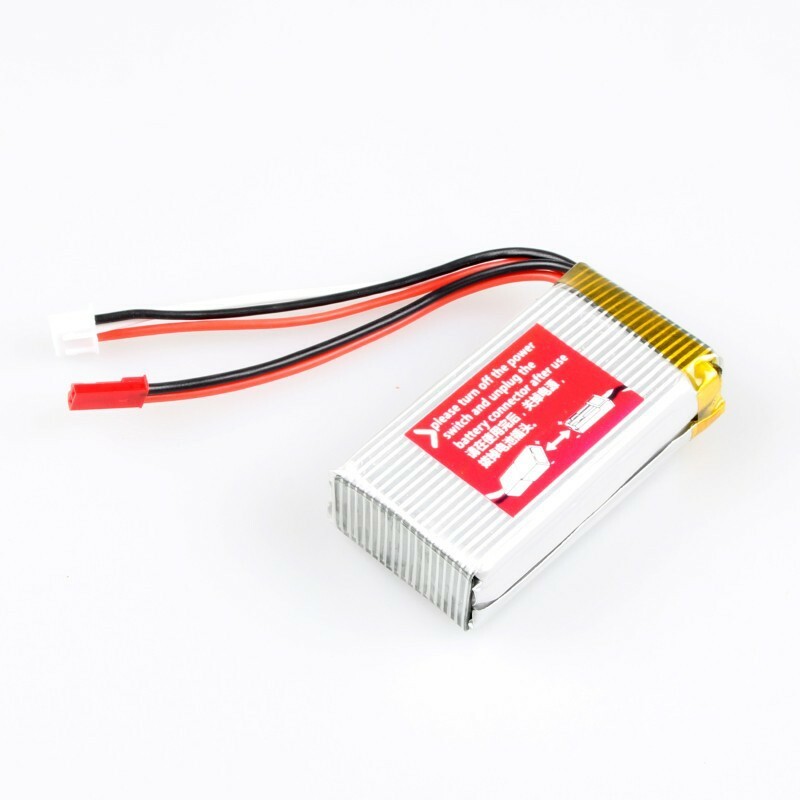 - L202 ESC is compatible with 3S (11.4V) lithium-polymer batteries. - These are 70mm, and therefore longer than the stock 65mm. 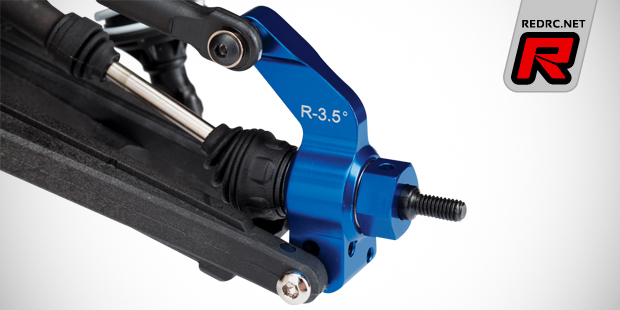 However, the L959 has three possible lower mounting points for the rear shocks, so mounting slightly longer shocks without significantly raising the rear may be possible. - Requires "longer screws to attach to the upper mounting points". Details of this are not known. - Handling is reportedly much improved. - You can measure while mounted on the car - the car has no natural pre-load on the shocks. But turn it upside-down before measuring. - The L202 motor is reportedly a 2848 (28mm diameter, 48mm length, 2mm shaft) (specs unverified). - Alternatives are not necessarily compatible with L202 ESC. Tamiya Sport Tune 380 motor: is 38mm long and does not make adequate torque, according to one tester. No metal gears known. It has been noted that using metal gears might just transfer stress to other parts of the system, causing them to break. These space the rear wheels out from the axles/hubs. You can get them fixed length (non-adjustable) or adjustable. - Note: Not all upgrades may be the same width (thickness) as originals. This may make the wheels sit further in or farther out than the stock position.